Panorama Mar: Seafront apartments for sale on the Punta Prima Beach, Torrevieja (Alicante), Costa Blanca. Only 1 hour from Alicante Airport. Panorama Mar is a new Taylor Wimpey de España seafront apartment development in Punta Prima, Torrevieja, with spectacular views over the sea and the beach. Sales direct from the developer. Panorama Mar is a private gated community with closed circuit surveillance. The development stands out for its ample landscaped areas and complete installations, from which you will be able to enjoy the sun and the sea views; the communal areas boast 3 swimming pools, with one being an infinity pool and a hydro-massage pool. The children will be able to play their own paddling pool and playground. The development also has direct access to the promenade. Only 10 km away we can find the Villamartín, Campoamor, Las Ramblas, Las Colinas, and Lo Romero 18-hole golf courses, as well as the La Zenia and Habaneras commercial centers. Phase 1 & 2: All sold! This new residential development is built in association with Grupo Inmobiliario Gomendio. 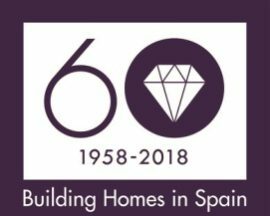 Since 1955, when Grupo Inmobiliario Gomendio started its business activity, building some of Madrid and Torrevieja’s most exclusive projects, it has successfully contributed to the development and business growth of Spain. Punta Prima is a wonderful seafront location, with one of Costa Blanca’s favoured destinations, Torrevieja, only 10 minutes away by car. Transport links are excellent, by road or by Bus with the airport at San Javier, Murcia only 30 minutes away and Alicante’s International Airport just a 45 minutes’ drive. Located near the beach, 5 kilometers to the south west of Torrevieja, Punta Prima is a large combination of apartments, townhouses and villas. The great salt lakes nearby are celebrated as wonderful bird sanctuaries, where sightings of herons and flamingos are commonplace. Whilst surrounded by the beauty of its natural environment, Punta Prima also offers some of the best tourist amenities and attractions with superb transport links, an excellent climate and all the local amenities any residents could need. There are shops and restaurants that cater for a wide variety of tastes, with golf courses, marinas, schools and hospitals all close by. Every day of the week you can find a market near Punta Prima, along the coast and inland. The market at Playa Flamenca, which is held on Saturday mornings, is certainly one of the best and well worth a visit. All manner of water-sports can be enjoyed in Torrevieja; including wind-surfing, sailing, and para-gliding. The town also has excellent on land sports facilities including tennis, bowling, athletics, football and padel tennis. There is an array of golf courses nearby and if you drive for less than an hour from the resort, you will be able to find a suitable course for any standard of player.